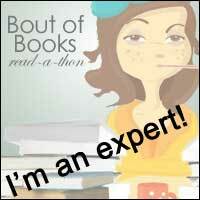 Review: This is the first book I have read from this author. From the cover and synopsis of this story, I thought it would be right up my street. It is described on the cover as a heart-warming laugh out loud romantic comedy, and although I didn't actually laugh out loud, it was an amusing and entertaining story. It didn't grab my attention right from the start, but once I got into it, I found I didn't want to put it down. The story centres on Cassie Maitland, an events coordinator who has been working in London and New York for some time. 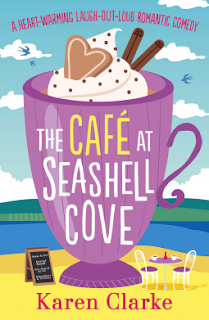 She decides to return to her family home in the Devon seaside town of Seashell Cove for a break while she decides where her career should go next. She plans to help out with her parents' cafe, set in a wonderful position, high on the cliffs overlooking the cove. However, things have changed quite a bit in her absence, and it seems that her help may not be required. Still, she plans some events to attract more customers to the cafe, with some amusing consequences. Returning to her childhood home brings her back into contact with old friends, her somewhat wacky grandmother and Danny Fleetwood, a boy she'd had a crush on at school. How will all these factors influence her decision for the future? This was a delightful tale of family and friendships. The setting for the cafe was very evocative; I could imagine myself sitting with a coffee looking out over the shining sea. The characters were all realistic, with problems and attitudes that will be familiar to any of us. I definitely enjoyed this book and will look out for more by this author. To order your copy now, just click here or US!